Born in 1977, lives and works in Paris. Katre starts graffiti in Paris in 1993 while he studies arts. 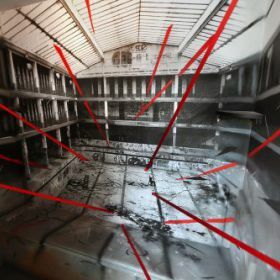 Passionate by wasteland and abandoned spaces, his master degrees in art is dedicated to the Molitor swimming pool in Paris and then he continues an art work representative of the street art universe mixing together disused places photos and explosive letterings.